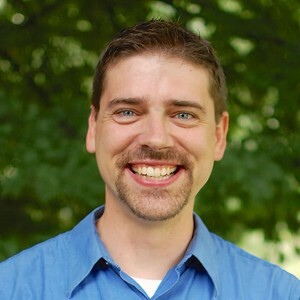 Dr. Stewart is from northwest Connecticut in the U.S.A. His desire to advance God's global kingdom through training international Christian leaders led him to serve at Tyndale and his longing to faithfully know and serve God motivates his research into the biblical text. Alex lives in Badhoevedorp, the Netherlands, with his wife Jenny. They have six children, four boys and two girls. B.A., Bible and Pastoral Ministry, Columbia International University, Columbia, South Carolina. M.Div., Columbia International University Seminary and School of Missions, Columbia, South Carolina. Stewart, Alexander E. Perseverance and Salvation: What the New Testament Teaches about Faith and Works. Areopagus Critical Christian Issues Series. Gonzalez, FL: Energion, 2018. Köstenberger, Andreas, Alexander E. Stewart, and Apollo Makara. Jesus and the Future: Understanding What He Taught about the End Times. Bellingham, WA: Lexham Press, 2018. Stewart, Alexander E. Soteriology as Motivation in the Apocalypse of John. Gorgias Biblical Studies 61. Piscataway, NJ: Gorgias Press, 2015. Köstenberger, Andreas and Alexander E. Stewart, The First Days of Jesus: The Story of the Incarnation. Wheaton, Ill.: Crossway, 2015. Köstenberger, Andreas, Justin Taylor, and Alexander E. Stewart. The Final Days of Jesus. Wheaton, IL: Crossway, 2014. Stewart, Alexander E. “The Structure of the Olivet Discourse in Mark: Evaluating the ABA’B’ Proposal.” Pages 753–764 in Reading the Gospel of Mark in the Twenty-First Century: Method and Meaning. Edited by Geert Van Oyen. BETL 301. Leuven: Peeters, 2019. Stewart, Alexander E. and Jacob D. Ott. “Show Me the Money: Pedagogy, Numismatics, and the New Testament.” Southeastern Theological Review 10 (2019): 51–75. Stewart, Alexander E. “The Future of Israel, Early Christian Hermeneutics, and the Apocalypse of John.” Journal of the Evangelical Theological Society 61 (2018): 563–576. Stewart, Alexander E. “Argumentum ad Baculum in the Apocalypse of John: Toward an Evaluation of John’s Use of Threats,” Pages 463–473 in New Perspectives on the Book of Revelation. Edited by Adela Yarbro Collins. BETL 291. Leuven, Peeters, 2017. Stewart, Alexander E. “Scaring the Hell Out of You: Scare-Tactics, Christian Horror Houses, and the Apocalypse of John.” Journal of Youth and Theology 16 (2017): 165–184. Stewart, Alexander E. “Ekphrasis, Fear, and Motivation in the Apocalypse of John.” Bulletin for Biblical Researc 27 (2017): 77–91. Stewart, Alexander E. “The Infancy Narratives and the Synoptic Problem: Reassessing the Evidence and Arguments.” Pages 192–211 in Getting into the Text: New Testament Essays in Honor of David Alan Black. Edited by Daniel L. Akin and Thomas W. Hudgins. Eugene, OR: Pickwick, 2017. Stewart, Alexander E. “The Temporary Messianic Kingdom in Second Temple Judaism and the Delay of the Parousia: Psalm 110:1 and the Development of Early Christian Inaugurated Eschatology.” Journal of the Evangelical Theological Society 59 (2016): 255–270. Stewart, Alexander E. “Authority and Motivation in the Apocalypse of John.” Bulletin for Biblical Research 23 (2013): 547–563. Stewart, Alexander E. “Narrative World, Rhetorical Logic, and the Voice of the Author in 4 Ezra.” Journal of Biblical Literature 132 (2013): 373–391. Stewart, Alexander E. “When are Christians Saved and Why Does it Matter? An Investigation into the Rhetorical Force of First Peter’s Inaugurated Soteriology.” Trinity Journal 32 (2011): 221–235. Stewart, Alexander E. “James, Soteriology, and Synergism.” Tyndale Bulletin 61 (2010): 293–310. Stewart, Alexander E. “Cosmology, Eschatology, and Soteriology in Hebrews: A Synthetic Analysis.” Bulletin for Biblical Research 20 (2010): 545–560. Stewart, Alexander E. Review of Gary S. Selby, Not with Wisdom of Words: Non-Rational Persuasion in the New Testament. Review of Biblical Literature (2018). Stewart, Alexander E. Review of Helen K. Bond and Larry W. Hurtado, eds., Peter in Early Christianity. Biblical Theology Bulletin 48 (2018): 218–19. Stewart, Alexander E. Review of Craig A. Evans and Jeremiah J. Johnston, eds., Searching the Scriptures: Studies in Context and Intertextuality. Biblical Theology Bulletin 48 (2018): 217–18. Stewart, Alexander E. Review of Sarah Harding, Paul’s Eschatological Anthropology: The Dynamics of Human Transformation. Biblical Theology Bulletin 48 (2018): 162–63. Stewart, Alexander E. Review of Jeremiah W. Cataldo, Biblical Terror: Why Law and Restoration in the Bible Depend Upon Fear. Biblical Theology Bulletin 48 (2018): 157–58. Stewart, Alexander E. Review of Steffen Jöris, The Use and Function of Genea in the Gospel of Mark: New Light on Mk 13:30. Review of Biblical Literature (2018). Stewart, Alexander E. Review of Karen Jobes, Discovering the Septuagint: A Guided Reader. Biblical Theology Bulletin 48 (2018): 43–44. Stewart, Alexander E. Review of David H. Wenkel, Coins as Cultural Texts in the World of the New Testament. Journal of the Evangelical Theological Society 60 (2017): 857–859. Stewart, Alexander E. Review of Bruce Clark, Completing Christ’s Afflictions: Christ, Paul, and the Reconciliation of All Things. Review of Biblical Literature (2017). Stewart, Alexander E. Review of Külli Tõniste, The Ending of the Canon: A Canonical and Intertextual Reading of Revelation 21-22. Biblical Theology Bulletin 47 (2017): 187–88. Stewart, Alexander E. Review of John Christopher Thomas and Frank D. Macchia, Revelation. Journal of the Evangelical Theological Society 60 (2017): 425–28. Stewart, Alexander E. Review of Lester L. Grabbe and Jason M. Zurawski, eds., The Seleucid and Hasmonean Periods and the Apocalyptic Worldview. Biblical Theology Bulletin 47 (2017): 118–19. Stewart, Alexander E. Review of Rodney A. Whitacre. Using and Enjoying Biblical Greek: Reading the New Testament with Fluency and Devotion. Biblical Theology Bulletin 47 (2017): 62–63. Stewart, Alexander E. Review of Drake H. H. Williams III, Jesus Tried and True: Why the Four Canonical Gospels Provide the Best Picture of Jesus. Journal of Global Christianity 3 (2017) 114–116. Stewart, Alexander E. Review of Jan van der Watt, ed., The Quest for the Real Jesus: Radbound Prestige Lectures by Prof. Dr. Michael Wolter. Biblical Theology Bulletin 46 (2016): 212–214. Stewart, Alexander E. Review of Douglas S. Huffman, The Handy Guide to New Testament Greek: Grammar, Syntax, and Diagramming. Biblical Theology Bulletin 46 (2016): 48. Stewart, Alexander E. Review of Herbert W. Bateman IV, Charts on the Book of Hebrews. Biblical Theology Bulletin 46 (2016): 48–49. Stewart, Alexander E. Review of Russell S. Morton, Recent Research on Revelation. Journal of the Evangelical Theological Society 58 (2015): 658–660. Stewart, Alexander E. Review of Murray J. Harris, Prepositions and Theology in the Greek New Testament: An Essential Reference Resource for Exegesis. Biblical Theology Bulletin 44 (2014): 225–226. Stewart, Alexander E. Review of James Leonard Papandrea, Reading the Early Church Fathers: From the Didache to Nicaea. Biblical Theology Bulletin 44 (2014): 169–170. Stewart, Alexander E. Review of Clayton N. Jefford, Reading the Apostolic Fathers: A Student’s Introduction. Biblical Theology Bulletin 44 (2014): 166–167. Stewart, Alexander E. Review of Karen H. Jobes, Letters to the Churches: A Survey of Hebrews and the General Epistles. Biblical Theology Bulletin 44 (2014): 113–114. Stewart, Alexander E. Review of Martin Williams, The Doctrine of Salvation in the First Letter of Peter. Biblical Theology Bulletin 43 (2013): 228–229. Stewart, Alexander E. Review of James A. Kelhoffer, Persecution, Persuasion and Power: Readiness to Withstand Hardship as a Corroboration of Legitimacy in the New Testament. Review of Biblical Literature (2012). Stewart, Alexander E. Review of Gordon D. Fee, Revelation. Review of Biblical Literature (2012). Stewart, Alexander E. Review of Michael W. Martin, Judas and the Rhetoric of Comparison in the Fourth Gospel. Biblical Theology Bulletin 42 (2012): 100–101. Stewart, Alexander E. Review of A. Philip Brown II, Bryan W. Smith, Richard J. Goodrich, and Albert L. Lukaszewski, eds., A Reader’s Hebrew and Greek Bible. Biblical Theology Bulletin 42 (2012): 42–43. Stewart, Alexander E. Review of James D. G. Dunn, Did the First Christians Worship Jesus?. Biblical Theology Bulletin 42 (2012): 55–56. Stewart, Alexander E. Review of Joseph L. Mangina, Revelation. Bulletin for Biblical Research 21 (2011): 278–279. Stewart, Alexander E. Review of James L. Resseguie, The Revelation of John: A Narrative Commentary. Biblical Theology Bulletin 41 (2011): 49–50. Stewart, Alexander E. Review of J. Nelson Kraybill, Apocalypse and Allegiance. Journal of the Evangelical Theological Society 54 (2011): 408–410. Stewart, Alexander E. Review of N.T. Wright, Justification: God’s Plan and Paul’s Vision. Biblical Theology Bulletin 41 (2011): 93. Stewart, Alexander E. Review of Poul F. Guttesen, Leaning Into the Future: The Kingdom of God in the Theology of Jürgen Moltmann and the Book of Revelation. Biblical Theology Bulletin 41 (2011): 106–107. Stewart, Alexander E. Review of Brian K. Blount, Revelation: A Commentary. Biblical Theology Bulletin 41 (2011): 99–100. Stewart, Alexander E. Review of François Bovon, New Testament and Christian Apocrypha: Collected Studies II. Bulletin for Biblical Research 20 (2010): 610–611. Stewart, Alexander E. Review of Richard Bauckham, Daniel R. Driver, Trevor A. Hart, and Nathan MacDonald, eds., The Epistle to the Hebrews and Christian Theology. Horizons in Biblical Theology 32 (2010): 223–225. Stewart, Alexander E. Review of Ruth Anne Reese, 2 Peter & Jude: The Two Horizons New Testament Commentary. Southwestern Journal of Theology 52 (2010): 194–195. Stewart, Alexander E. “The Role of Fear and Hope in Drawing and Transcending Boundaries in the Apocalypse of John.” Paper presented at the annual meeting of the Institute for Biblical Research. November, 2018. Stewart, Alexander E. “Threats in the Apocalypse of John: The Character and Intentions of the One Threatening.” Paper presented at the annual meeting of the Institute for Biblical Research. November, 2018. Stewart, Alexander E. “Fear Appeals, Maladaptive Responses, and the Apocalypse of John.” Paper presented at the annual meeting of the Society of Biblical Literature. November, 2018. Stewart, Alexander E. “Show Me the Money: Numismatics and the New Testament.” Paper presented at the annual meeting of the Evangelical Theological Society. November, 2018. Stewart, Alexander E. “Healthy Fear? Evaluating Fear Appeals in the Apocalypse of John from within Its Historical-Rhetorical Context.” Paper presented at the annual meeting of the Society of Biblical Literature. November, 2017. Stewart, Alexander E. “Scary as Hell: Evaluating Fear Appeals in the Apocalypse of John with the Extended Parallel Process Model.” Paper presented at the annual meeting of the Society of Biblical Literature. November, 2017. Stewart, Alexander E. “Israel and the Nations in the Book of Revelation: Hermeneutical Considerations.” Paper presented at the annual meeting of the Evangelical Theological Society November, 2017. Stewart, Alexander E. “The Ethics of Fear Appeals in the Apocalypse of John.” Paper presented at the annual meeting of the Evangelical Theological Society. November, 2017. Stewart, Alexander E. “The Structure of the Olivet Discourse in Mark: Evaluating a Popular Proposal.” Paper presented at the Colloquium Biblicum Lovaniense LXVI. KU Leuven. July, 2017. Stewart, Alexander E. “Evaluating John’s Rhetorical Use of Divine Threat in the Apocalypse of John.” Paper presented at the annual meeting of the Society of Biblical Literature. November, 2016. Stewart, Alexander E. “Do John’s Threats Provide a Legitimate Model for Christian Proclamation? : Evaluating the Use of Divine Threats in the Apocalypse of John and Modern Preaching.” Paper presented at the annual meeting of the Society of Biblical Literature. November, 2016. Stewart, Alexander E. “Ekphrasis, Emotions, and Motivation in the Apocalypse of John.” Paper presented at the annual meeting of the Society of Biblical Literature. November, 2015. Stewart, Alexander E. “The Temporary Messianic Kingdom in Second Temple Judaism and Early Christian Inaugurated Eschatology.” Paper presented at the annual meeting of the Evangelical Theological Society. November, 2015. Stewart, Alexander E. “Argumentum ad Baculum in the Apocalypse of John: John’s Rhetorical Use of Threats in Light of Divine Threats in the Hebrew Prophets and Second Temple Jewish Literature.” Paper presented at the Colloquium Biblicum Lovaniense LXIV. KU Leuven. July, 2015. Stewart, Alexander E. “4 Ezra’s Narrative World: A Case Study in Worldview Analysis.” Paper presented at the Southeast regional meeting of the American Academy of Religion. March, 2011. Stewart, Alexander E. “Eschatology and Soteriology in 1 Peter.” Paper presented at the Southeast regional meeting of the Society of Biblical Literature. March, 2010. Stewart, Alexander E. “James, Soteriology, and Synergism: A Holistic Reevaluation of the Necessary Human Response to God’s Saving Initiative.” Paper presented at the Southeast regional meeting of the Evangelical Theological Society. March, 2010. Stewart, Alexander E. “Romans, Theodicy, and the Righteousness of God: A Contextual Reevaluation.” Paper presented at the annual meeting of the Evangelical Theological Society, Annual Meeting. November, 2009. Stewart, Alexander E. “The Hermeneutical Validity of Paul’s use of Habakkuk 2:4 in Romans 1:17.” Paper presented at the Southeast regional meeting of the Evangelical Theological Society. March, 2009.